They were NOT turkeys, vultures, hawks or ospreys. I’m thinking golden eagles, but it appears they are extremely rare in Vermont. Perhaps immature bald eagles, but they usually have sort of motley brown and white plumage. Anyone else seen these birds? I saw one in Dummerston a couple of summers ago. And heard it…it really did sound like that stereotypical “eagle sound effect” in tv shows and movies. 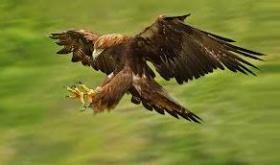 There’s no way a couple of golden eagles would nest anywhere near an aging nuclear facility like Vermont Yankee. That says they have more sense than most of the residents of Vernon. I would suspect that what you saw were 2 juvenile Bald Eagles – to my knowledge, Golden Eagles do not breed in VT, and as you had mentioned, are quite rare unless they’re passing through on migration. 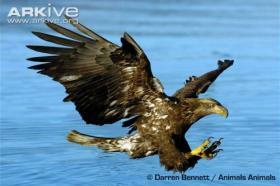 Juvenile Bald Eagles aren’t necessarily always mottled – they vary, and are usually overall a dark brown color. Either way, it’s always nice to see such birds in their natural habitat!